This book is about work, work, and more work. I would have thought that the descriptions of the never-ending tasks that fell to Signe would have lost my interest, but I was actually fascinated. It was like Little House on the Prairie for adults. 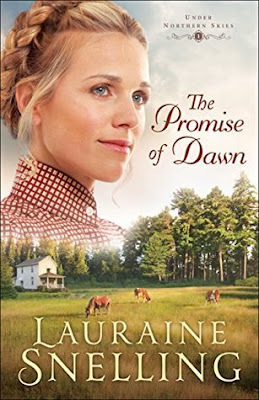 The author skillfully and subtly wove in the myriad of emotions Signe felt, including frustration, compassion, exhaustion, loyalty, motherly love, humor, and exasperation. I couldn't help but admire her work ethic and dedication. It made me take a good hard look at myself and my own housekeeping habits! When it seemed that nothing would change in Gird and Einar, the dynamics began to shift ever so slightly and then more quickly, and I loved the direction the story went. There's not much romance, but we do see the love, support, and admiration Rune and Signe have for each other in subtle ways. So many rich themes in this book are subtle, and it was heartwarming to see the patience and efforts of Rune and Signe pay off in the end. I'm looking forward to the next book in the Under Northern Skies series! 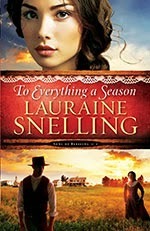 In bestselling author Lauraine Snelling's new novel, To Everything A Season, the tight-knit town of Blessing, North Dakota faces change and challenge at every turn. In the middle of the maelstrom is young Trygve Knutson. He's devoted to his family and his community, but he sometimes dreams of other horizons--especially since meeting Miriam Hastings. Miriam is in Blessing with one goal: to complete her training as a nurse, and get back to Chicago to support her siblings and her ailing mother. 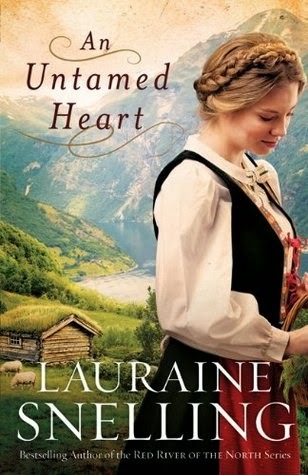 But the town of Blessing has a way of drawing in the most reluctant visitor, and soon Miriam's attachment to Trygve and his family has her questioning her entire future. Our Third Prize winner can share their own thoughts and dreams, and enjoy a taste of Blessing's Soda Shop at home, with the Steal Away Date Night Pack. 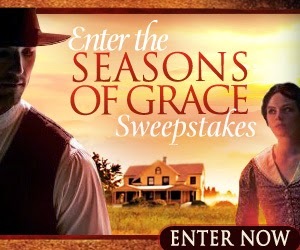 Go to http://www.laurainesnelling.com/html/giveaways.html and complete the entry box, anytime between October 14 and November 3. So, I love the character of Ingeborg. She is strong, industrious, compassionate, and thoughtful. There is much description of the farm, its chores, and tasks. It started out somewhat slowly since it is told from both Ingeborg and Nils' perspectives, but they don't meet until about halfway through the book. I enjoyed her interactions with her siblings and cousins. What an amazing thing that the children of the family take the flocks into the mountains and live there all summer with no adult supervision other than Ingeborg and her best friend/cousin who are in their very early twenties. There is some excitement in the story, but overall I'd say this is a descriptive and introspective novel to be read at leisure.